I hereby grant my son/daughter permission to participate in all baseball/softball activities, including clinics and post-season tournaments not specifically scheduled. I acknowledge that these activities may require travel in various modes of transportation, with accomidations and meals in various establishments. I acknowledge that my son/ daughter participates in all activities at his/her own risk. In consideration of your permitting him/her to participate, I hereby accept any inherited risk of play or travel and hereby release the Pisgah Youth Organization and/or any other national or local organization/association with which the Pisgah Youth Organization may affiliate, and the officers, coaching staff, sponsors, volunteers, umpires, employees, agents, affiliates heirs, successors, and assigns of each from any responsability that you or they might have regarding the health and physical condition of my son/daughter during his/her participation. On behalf of myself, my son/daughter, our heirs, executors and assigns , I further release and forever discharge al of the above individuals and entities from any and every claim, demand, right or cause of action either in law or in equity arising from my son/daughter's participation in all activities. PYO Entry Fees What's this? Late Registration Fee What's this? Kroger Card Credit What's this? PYO requires that each family who has a child that participates in PYO functions join the organization. The entry fee per family to join is $90.00, paid in 1/3 increments the first three years of the child's participation. Registrations received from 10/14/2011 through 4/1/2012 were not subject to a late fee. Registrations on or after 4/2/2012 are subject to a $20.00 late registration fee. Card Verification Value What is this? The Verification Code is a three-digit number on the back of your credit card. The full credit card number is reprinted in the signature box and at the end of the number is the Verification Code. Your payment was processed successfully. 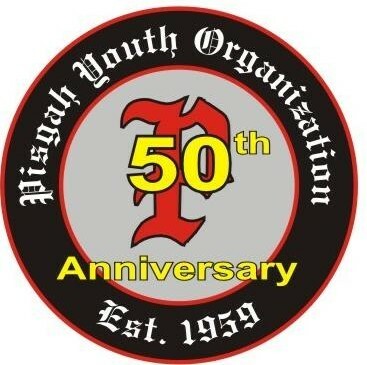 Thank you for supporting the Pisgah Youth Organization!